Scott Miedema – Online-AuctionSoftware.com, Inc.
Scott Miedema is the Chief Operating Officer of Miedema Asset Management Group. He assisted in starting Miedema Auctioneering, Inc. with his brother, Sid Miedema, in 1984 and has helped transform their business into a leading global auction and liquidation service provider. Today Miedema Asset Management Group consists of Miedema Auctioneering, Inc., Miedema Appraisals, Inc., Repocast.com, Inc., Orbitbid.com, Inc., LastBidRealestate.com, Inc., Online-AuctionSoftware.com, Inc., Rangerbid.com, SSL Corp LLC, and Orbitbidcharity.com and employs over 180 throughout the United States. The companies annually conduct over 500 auctions and appraise millions of dollars of assets. 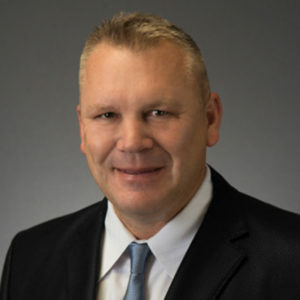 Scott Miedema was a pioneer of the online auction methodology, as well as other asset management solutions that have transformed the auction industry. Scott has served as President of the MAA, was inducted into the MAA Hall of Fame in 2009, MAA Bid calling champion 2005, and has conducted hundreds of charity events raising tens of millions for many worthwhile organizations.